F.P. 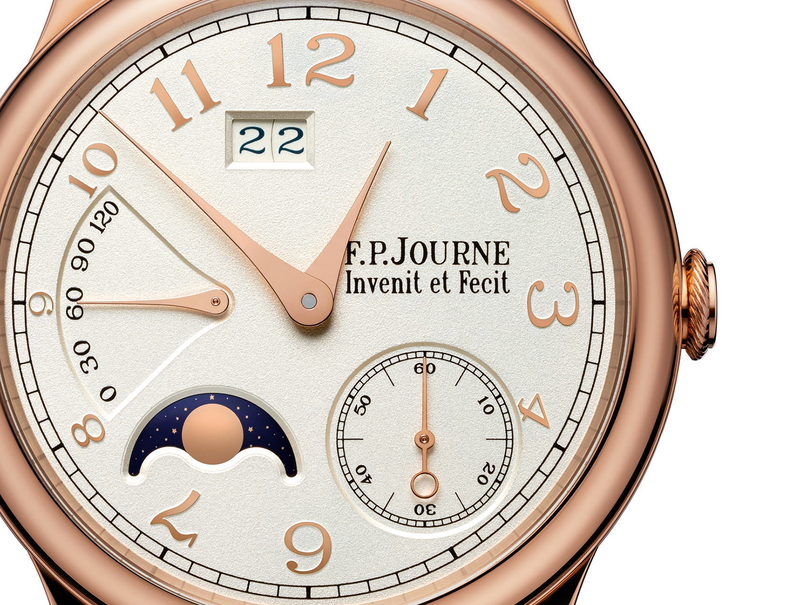 Journe started using 18k rose gold for the bridges and base plates of all his movements in 2004. Now the watch dials of three models – the Chronomètre Souverain, the Octa Réserve and the Octa Lune – are made of the same precious metal. The new dials are made thin disc of gold, which is sandblasted for a grained finished and then silver-plated. 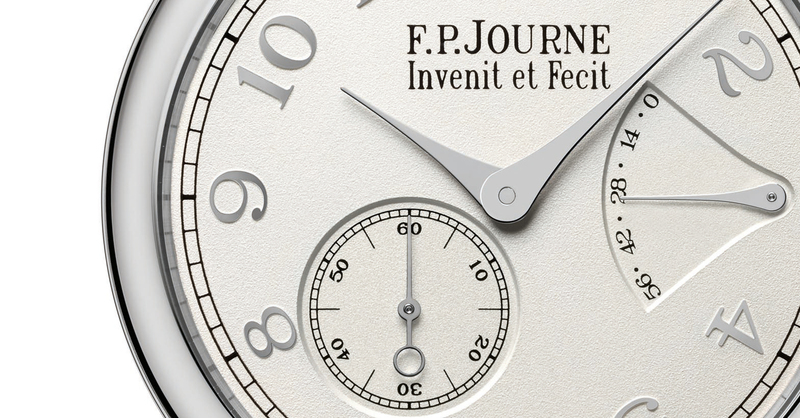 Next each of the Arabic numerals has its surface diamond-cut, leaving a polished, mirror-like surface. And the final step is the printing of the logo and text on the dial, comprising up to five layers of ink for slightly raised lettering. 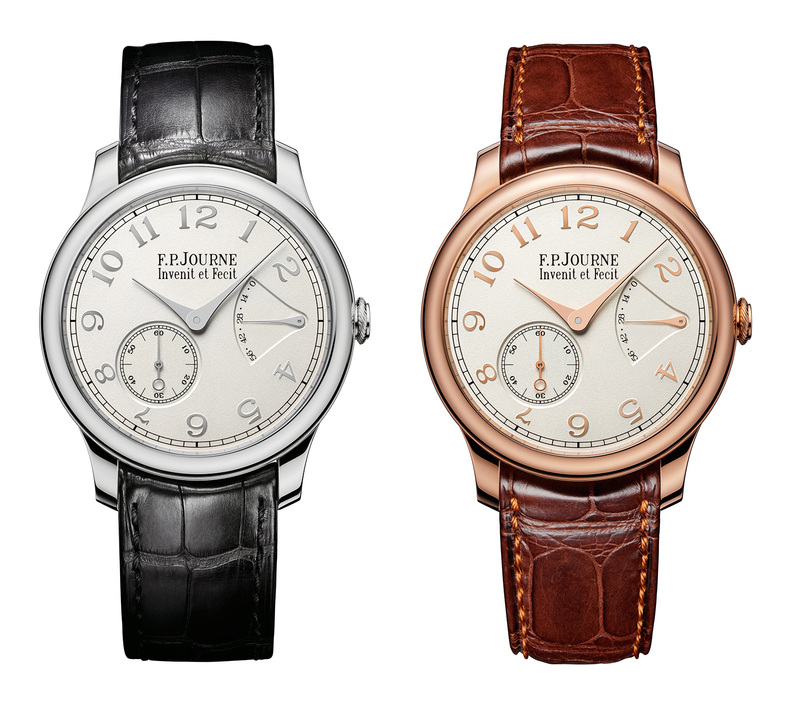 Dials aside, the new models are technically identical to the existing models with silvered brass dials. Each is available in rose gold or platinum, with a 38 mm or 40 mm case. The simplest is the elegant Chronomètre Souverain, a slim, 8.6 mm high watch with a manual wind movement and a 56 hour power reserve. The Octa Reserve and Octa Lune both have the same base calibre, the self-winding 1300.3 with a 120 hour or five day power reserve. 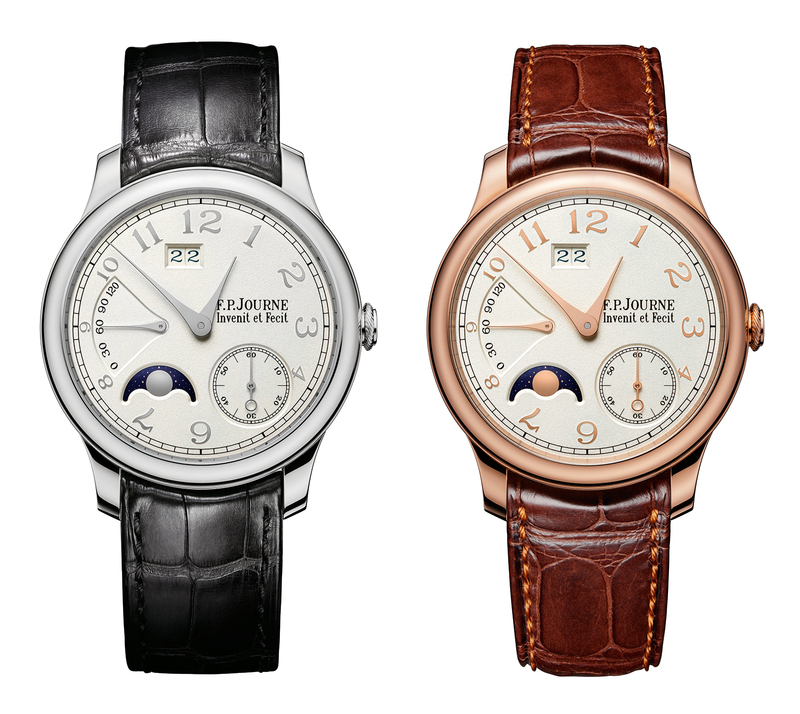 Both have the same case dimensions, standing just 10.6 mm high, with the only difference being the addition of a moon phase display on the Octa Lune. The gold alloy of the dial matches the case material, rose gold dials for rose gold cases, and white gold dials for platinum cases. On the rose gold models are hands are plated in rose gold to match, while the platinum versions use steel hands. Each of the new timepieces costs a modest 1000 Swiss francs (about US$1120) over the equivalent models with brass dials. All three models will only be available at F.P. Journe boutiques.